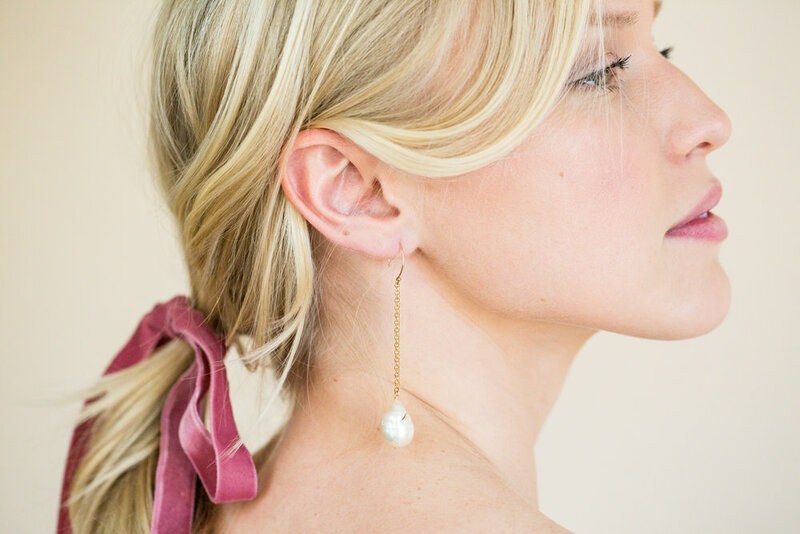 It’s no secret we love jewelry with a story and decades of history—but what we love even more are the painted baguette stones, baubles, crowns, and gem details interpreted by artists across centuries. And if we could name a favorite master behind the brush that’s crafted seemingly effortless portraits with delicate details? We’d name John Singer Sargent, hands down. With fame and a following, scandal also became a part of his career through his now most famous work: Madame X. The original portrait features a french madame, Madame Pierre Gautreau, who was known in Paris for her outlandish, artful appearance. Sargent hoped to enhance his reputation by painting and exhibiting her portrait as she was considered notable in Parisian high society. He emphasized her daring personal sense of fashion, showing the right jeweled strap of her black gown slipping from her shoulder. At the Salon of 1884, the portrait received more ridicule than praise, and was called “scandalous” and “inappropriate.” Sargent later repainted the shoulder strap up on her shoulder, like we see today, and kept the work for over thirty years before selling it to the Metropolitan Museum of Art in New York. Nevertheless, John Singer Sargent is a master to be remembered and appreciated—the next time you find yourself in any museums, take note and look for his name (you might recognize an American president, several foreign dignitaries, and a few other recognizable figures in history). Left and Above: John Singer Sargent, Lady Agnew of Lochnaw, oil on canvas, Scottish National Gallery, painted 1892. He’s been noted for many airy and ethereal impressionist-like portraits of women and children—but aside from the draped fabrics drenched in light and the fairylike quality to each portrayal, it’s the shining gold, pearls, and gem details that we love. 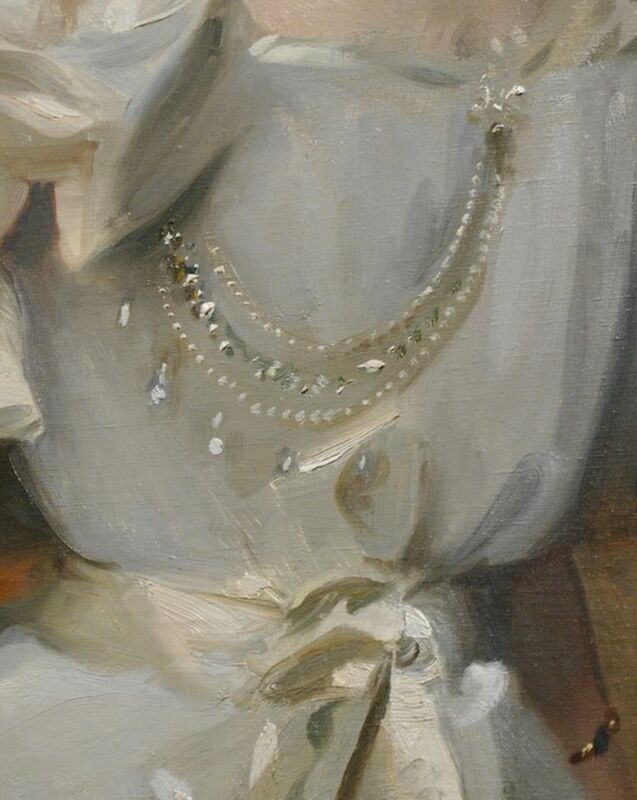 Details like these dominated Sargent’s portrait of Lady Agnew—a work that launched her as a society beauty and made John Singer Sargent’s name as a portrait painter. After the portrait was exhibited at the Royal Academy in 1893, commissions poured in and Sargent enjoyed something of a cult following among Edwardian Society. 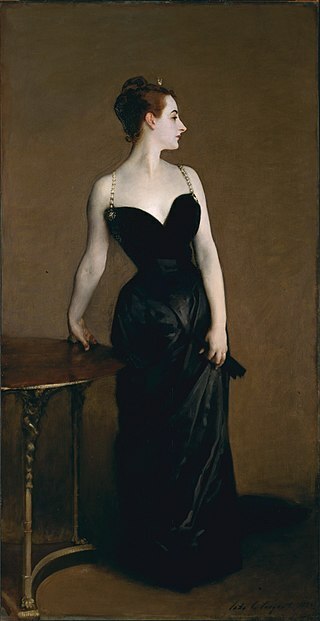 Above and Left: John Singer Sargent, Madame X, oil on canvas, Metropolitan Museum of Art, painted 1883-84. 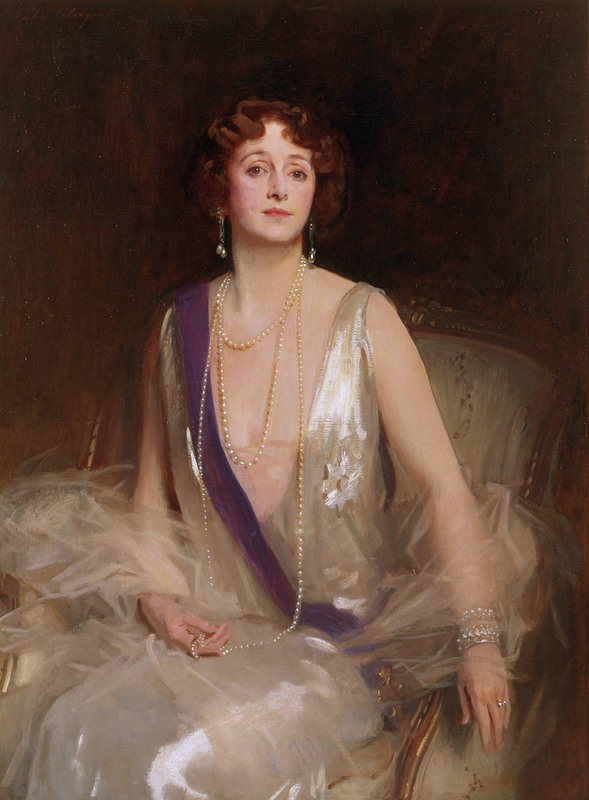 Left: John Singer Sargent, Grace Elvina Marchioness Curzon of Kedleston, oil on canvas, Currier Museum of Art, painted 1925. 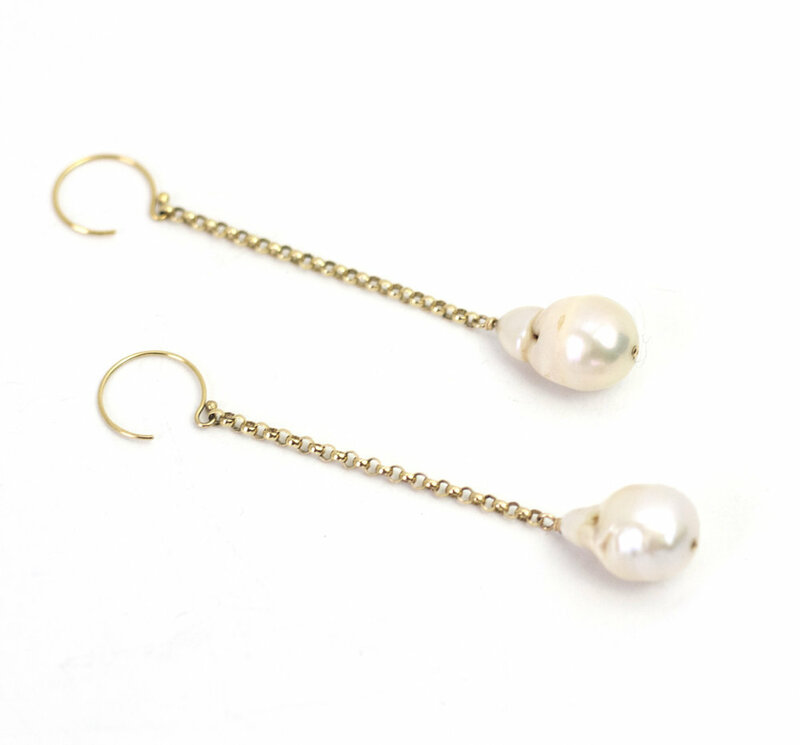 We think Marchioness Curzon’s Edwardian pearl earrings look a lot like our modern Solitaire Pearls. Find us in British VOGUE!